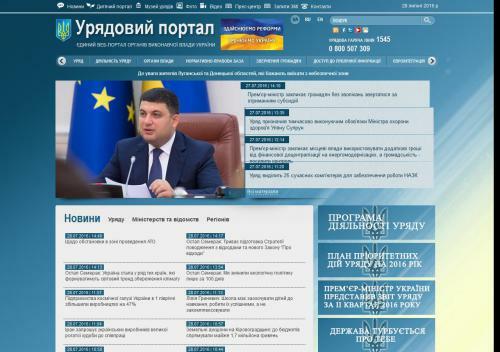 A single web portal of the executive authorities of Ukraine. Information on the composition and activities of the Ukrainian government, public authorities. News, the decision of the Government; announcements of the Cabinet; Remarks and comments; legal and regulatory framework; video news, photo gallery; infographics; Information press center; access to public information.